There's a cool thing about technology: often, when one offshoot progresses, so do others. For instance, since the internet has become much more commonplace, software has moved away from disk-based media. And websites have moved from static to evolving. That last bit — that's part of what we're here to talk about. Unfortunately, our collective business practices and thinking processes don't always keep pace with technology's evolution or increased accessibility. There's still a familiar, going-to-press mindset in marketing that, though beneficial in the case of trade show material (for example), often causes hangups during other creative and technical initiatives. But in order to achieve your business goals, you need to sell your product or service. And selling today requires excellent leads, not just an excellent product. And excellent leads are yours for the taking, with an excellent, goal-oriented, sales-ready website. But none of those leads are coming in if you won't launch your site. And that brings us to the first item on our list. Chances are, your only-ninety-percent-perfect new site is still going to generate leads better than your old site did, and they'll be better leads, too. Every day you delay launch is another day losing revenue. In addition, you've already paid for some of your site, but you won't see the returns until you launch and start to generate results. The longer you let your old site stay up, the longer you wait to reap the rewards of a newer, sales-ready site. Once something is visible to the public eye, it's amazing how quickly you can get the full attention of your key stakeholders on any pending decisions or issues. After a soft launch, some things can take weeks to get feedback on. Launch your site for real and you'll get attention and information, not only from your stakeholders, but from the site developers, too. A launch promotes urgency on everyone's part. Though the "big reveal" is super important to your internal audience (and you do want to please that group), most of your customers or prospects won't be nearly as affected by your new site's presence. Even when the biggest, most prestigious brands launch a new or updated site, the customers care only about the content or products and services that can help them, and about how easily they can reach those items. But not about the fact of the new site itself. Think about who your site is for. It's not for your team. It's not for your agency. It's for your current and future customers, and their opinions are the ones that count. They'd rather have a new site that works well with a few features pending than an old, outdated site that doesn't serve them what they need as quickly as possible. Getting phase 1 out the door allows you to start on phase 2 sooner. Who doesn't want that? That means faster improvements to your site and faster value delivered for your customers. Only real data can prove or disprove all the decisions you made in the design and strategy phases. 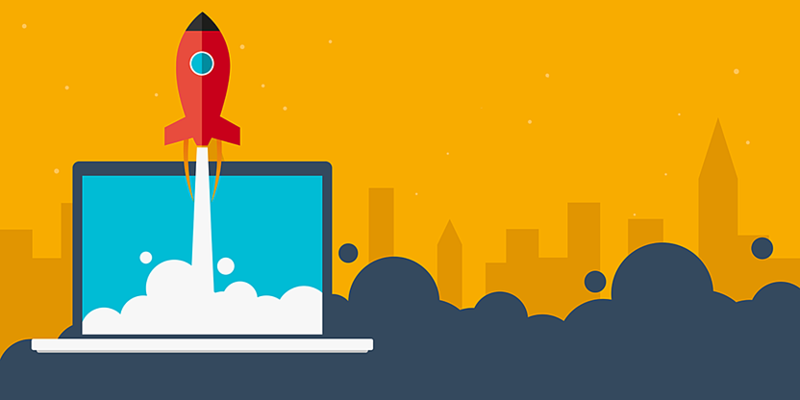 The launch phase is the starting gun for new traffic that can give you the information you need — both from and about your visitors — to learn and improve. 6. Have You Ever Seen Perfect Software, Version 1? No? We haven't either. No software is perfect on release, and we treat our services and products like software. Though imperfect software can cause short-term pain (often for internal parties, but also for some customers), it's also the quickest path to creating more valuable products for your users. When is the last time Apple nailed a new version of iOS on the first release? And Google certainly isn't afraid to try new things for long-term gain despite some short-term, minimal pains. We've talked about this. People have an old-school urge to think that once a piece of marketing material has been exposed to the world, they have to live with it forever. But they don't! Your site isn't a piece of marketing collateral headed to print. It's a revenue-generating machine that grows a little bit every day after launch, becoming better and more effective at helping you achieve your business goals, by helping your customers get what they need. In many industries, launching a new site is like an arms race. Delaying your launch so you can get every last detail right might give your competitors an online advantage. If you come fourth or fifth in a quick succession of competitor site launches that convey new industry ideas or standards, that can make you look like a follower — even if you had the idea first and just sat on the launch for months. Letting a site float around for months after the planned launch date could certainly cause additional fees to sneak in. Not only are you paying for a marketing platform you're not using yet, but you're sitting still in a moving system. Let's say you get through a QA phase, and then browser specs change two months down the road. Time to test again! Or what happens if your executive team grows and new ideas are tossed into the mix? A lot of new planning and tech debt can come on board. Accurately forecasting your budgets depends on working as close to your timeline as possible. No one wants to tell their boss they initially budgeted $20,000, but the project actually cost $35,000 because of delays. 10. You Promised Your Boss the Site Would Launch This Quarter! Let's avoid this difficult conversation and instead celebrate in victory together. What do you think about delaying a site? Do you disagree with our opinions on the benefits? Lay into us about it or get on our side in the comments.